Welcome to my website, new pages get posted here but see above for a roadmap to the contents..
Dave Bowman contacted me last year about the Bomber Command Memorial being constructed in London, England at the time and I regret that I did not post this sooner, but I think it is fitting that I publish this article now as we quickly approach Remembrance Day. The museum was opened in June of 2012. As you may be aware, the Bomber Command Memorial is currently under construction in London. One of our museum members, Dave Birrell, recently travelled from Nanton to view the progress and was guided through the construction site by the Memorial's architect, Liam O'Connor. "Without actually visiting the site, is difficult to appreciate the Memorial's setting within the city, its size, the stature it will have, and its significance. 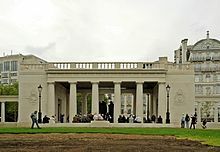 Located on a high point overlooking Green Park, the Memorial is at Hyde Park Corner, just across Piccadilly from Wellington Arch, one of the most massive and impressive monuments in London. The location is also adjacent to the grounds of Buckingham Palace and just a few hundred metres from the palace itself. As we toured the sections of the Memorial that are already in place, it was clear that its design and grandeur will be worthy of the effort and sacrifice that was Bomber Command. it will be the largest and one of the most prestigious Memorials to be built in London in over one hundred years. Our museum is honoured to have provided several hundred pounds of aluminum recovered from 426 Squadron RCAF Halifax LW682 and this will be incorporated into the ceiling of the Memorial. The Bomber Command Museum of Canada would like to remind all Canadians and our friends in the UK of the fact that almost 20% of the 55,573 airmen being honoured by this Memorial were Canadians. Although Canada's Bomber Command Memorial at our museum is a fitting national Monument, the London Memorial will also stand as a tribute to our country's contribution and sacrifice. When the Queen Dedicates the Bomber Command Memorial on 28 June it is our hope that Canada's Prime Minister or the Governor General as well as a contingent of Canadian Bomber Command veterans will be in attendance. The Bomber Command Museum of Canada and others are encouraging the Government of Canada to play a prominent and appropriate role at the Dedication which will be a major and significant event. Visit http://www.bombercommandmuseum.ca/news.html to watch a video and read about our museum’s contribution to the London Memorial. Visit http://www.bombercommand.com/in-the-press/memorial-update-5 for a recent update on the Bomber Command Memorial website that features a report regarding our aluminum and numerous photos and links.